With a motorcycle crash comes some of the most traumatic memory you’d have stored. In fact, major motorcycle accident sites are an eyesore; you can only wonder what surviving victims go through. These victims bear too much and it is only fair and natural that they get some compensation. The tragic thing is that more often than not, the plight of accident victims goes unnoticed and that is one of the reasons for the establishment of Rawa law group. At Rawa law group, what we have set out to do is to buck the trend and alleviate the suffering and pain of auto accident victims. We have a team of car and motorcycle accident attorneys who take the bull by the horn in ensuring all the settlement claim of accident victims are duly delivered. You do not have to worry about cost, fees, and charges. Our method of payment is flexible and there are no extra or hidden charges. We do not even accept any upfront payment from you until the case is concluded. Unlike, other legal outfits that demand case evaluation fees, we do not. This is because we understand that our clients are already going through a lot and it makes no sense adding to their worries by demanding payment from the onset. 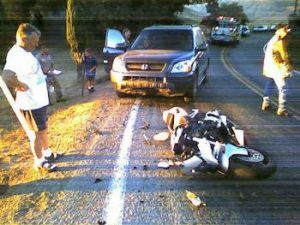 We are of the opinion that every motorcycle accident attorney must be sensitive to the plight of their clients.